At about 9:08 PM on Wednesday, June 6, 2018, officers assigned to the Youth Violence Strike Force made an onsite firearm arrest after performing a traffic stop as part of an investigation in the area of Park Drive and Boylston Street in Boston. Officers arrested Jameel Clark, 25, of Boston, after safely recovering a loaded 9mm Glock 19 handgun. 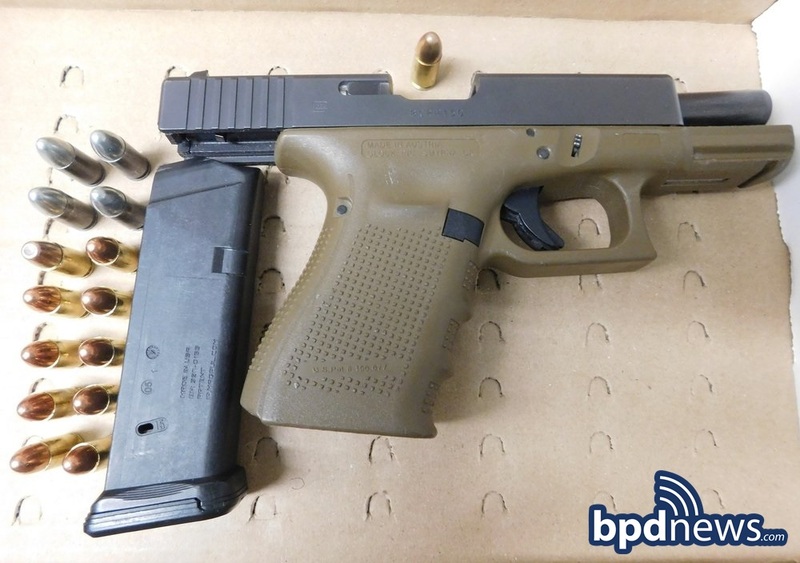 The suspect will appear in Roxbury District Court on charges of Unlawful Possession of a Firearm (2nd and Subsequent), Unlawful Possession of Ammunition, Carrying a Loaded Firearm, Possession of a Large Capacity Feeding Device and Operating a Motor Vehicle After Suspension or Revocation.